“Mom tells me to remember the love,” my son smiled sweetly. Oh I like it….that sort of experience does put you off following rainbows doesn’t it that and getting there and finding the pot already empty. Are your books available in iBooks? 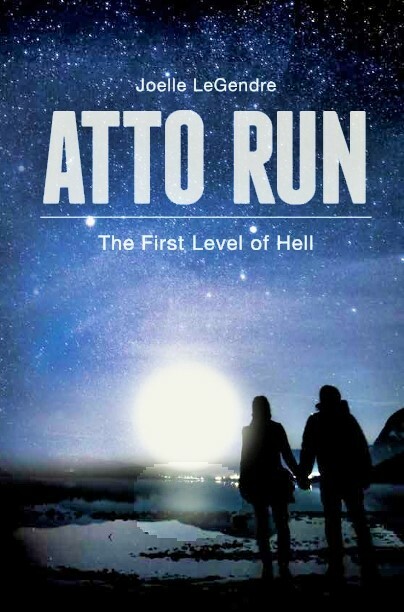 Atto Run is on Amazon. If you have KindleUnlimited, it’s free. It’s $4.44 for Kindle. I’m hoping book 2 will be ready for publication in a few months. I’ve hoped that for the last year. Is that a rant against the rainbow? The conversation felt like mud-slinging versus a ray of sunshine. Well done. Nothing like a bitter man, just let’s poison the child innocence, wishing on a rainbow never hurt man nor beast ‘ tis the mud that did it m’laud’ nice work! One of the balances a parent has to make about childhood innocence is knowing when it’s necessary to tarnish than innocence (like not talking to strange men who want you to get in their car) and when a little Christmas wonder is in order.